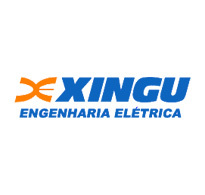 Xingu Electrical Engineering - Quality, safety and economy. Projects with high technological. 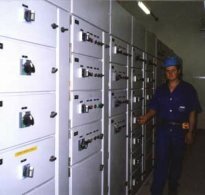 The XINGU ELECTRICAL ENGINEERING LTDA has been working with services in industrial engineering for 15 years, developing projects with high technology and keeping teams especializeds in general mounting. With modern technices of administration, invest in high technology and training for employees. The respect to the costumers has assigned good results and has permited to small and big companys began to work with XINGU, reducing costs. The search for QUALITY and the persistence in getting better, makes our team the perfect partner to develop your projects and to execute your jobs, with SPEED, SECURITY and ECONOMY that your company needs. Duis sed sapien vitae purus facilisis rutrum sit amet nec ligula. Donec volutpat magna sed justo commodo interdum. Proin mattis viverra nibh, ac facilisis ligula aliquam a. Integer vitae purus ut tortor hendrerit eleifend eu sit amet augue. Sed quis metus diam. Donec adipiscing gravida felis, sed luctus libero tincidunt vel. Nunc fermentum venenatis sagittis.